The event is set to also host a Musical Talent Show for all the kids aged between 8 to 16 years. Bring your positive energy, a musical instrument (if you play any) and/or your voice. 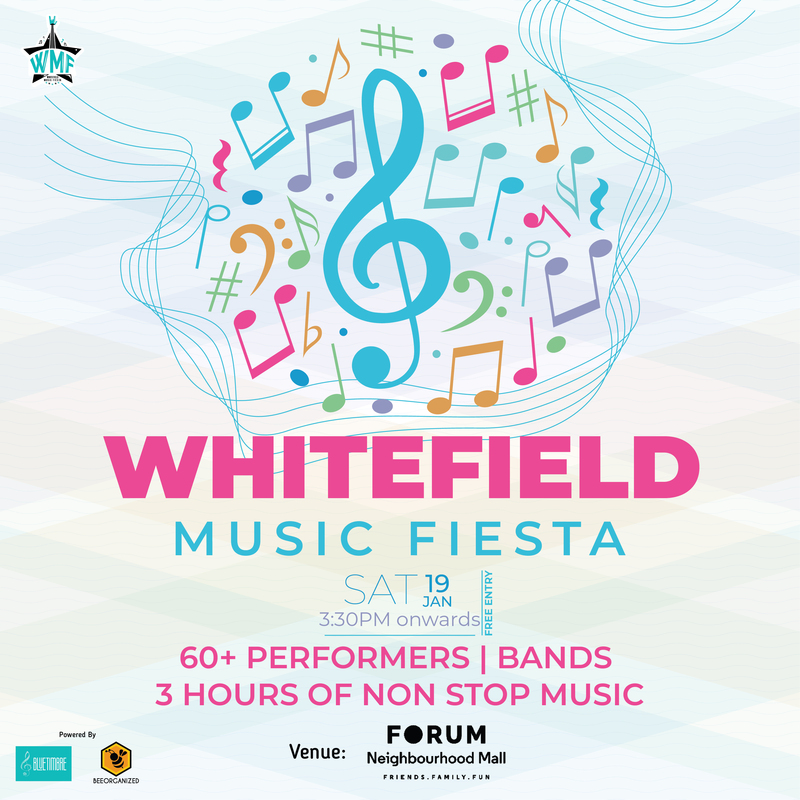 Whitefield Music Fiesta is an annual live music concert hosted by BlueTimbre with some of their 200+ students and teachers performing at the event. The performances are based on contemporary English and Hindustani music, genres like Rock, Pop, Blues, Country will be performed. The event is open to all and the public can come to be a part of this amazing music festival at The Forum Neighbourhood Mall Whitefield on the 19th of January 2019 starting from 3:30 pm.